And than there comes the time when you decide that enough is enough. And than there comes the time when you decide that enough is enough and that you need solitude. And that time came and we knew what we had to do. So we headed inland towards Sequoia National Forest and Yosemite National Park. The road was nasty. Only uphill and only through dry, dry, dry grassland. The heat was hardly bearable and everybody was sweating. And off course afraid that the Van would quit on us. But after one day of slow driving we made it into the woods. Huge redwood trees blocked the sun while the air started to smell like pines and a chilly breeze lighted our spirits. And after some more miles we found a beautiful spot. Secluded and surrounded by those huge trees with a perfect fire pit in the center. 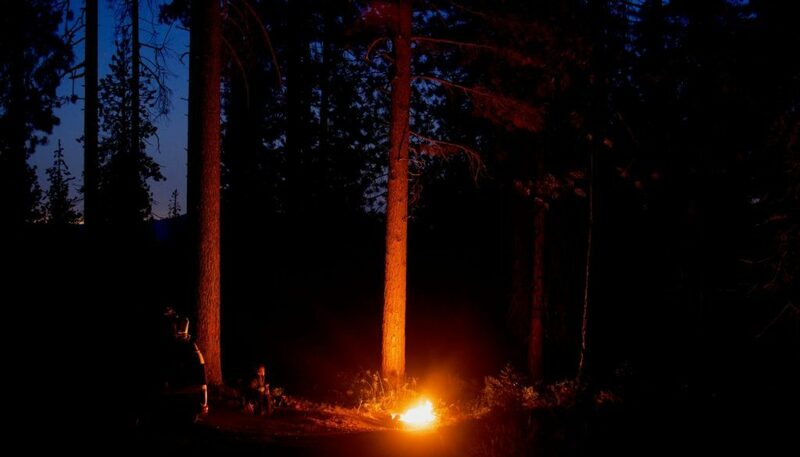 Every night we lit a fire and listened into the woods where bears and deer are roaming around. We went to bed early and we felt like we were finally able to breath again.